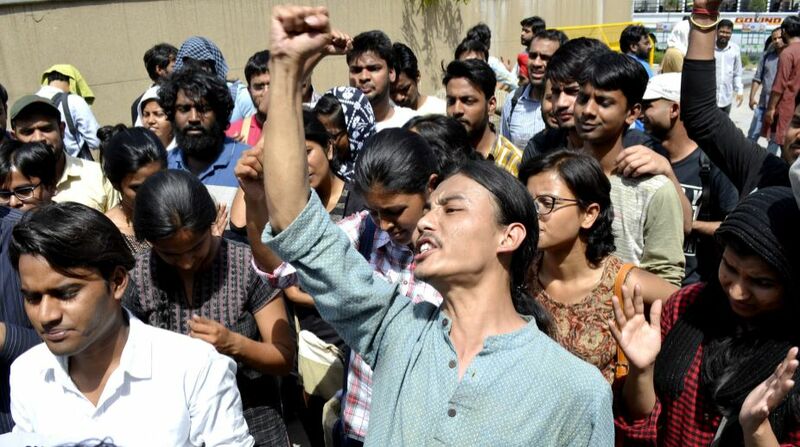 The united-Left alliance has retained all four seats in the JNU students union election, defeating the RSS-backed ABVP with considerable margins. In a close fight, United Left candidate Geeta Kumari won the president’s post by defeating Nidhi Tripathi of ABVP by 464 votes. Shabana Ali of BAPSA (Birsa Ambedkar Phule Students’ Association) polled 935 votes, election panel officials said. Out of the total 4639 votes polled, 4620 were valid as 19 votes were discarded after voters put their slips in wrong ballots, they said. For vice president’s post, AISA’s Simone Zoya Khan got 1,876 votes out of total 4,620 votes. Khan defeated Durgesh Kumar of ABVP who got 1028 votes. Duggirala Srikrisha (Left) won the General Secretary’s post by polling 2082 votes. He was followed by ABVP’s Nikunj Makwana- 975 votes. The post of Joint Secretary has gone to Shubhanshu Singh (Left) who got 1755 votes. Pankaj Keshari of ABVP got 920 votes. She also promised to take up Najeeb issue, JNU seat cuts, new hostels, saving the autonomy of JS-cash and deprivation points. Duggirala said that JNU has become more democratic. “We promise to reach out to students every day and counter the aggressive policies of ABVP”. He also vowed to defend the debate and dissent culture in JNU. In the central panel, a total of 1512 NOTA votes were polled for all the four posts. 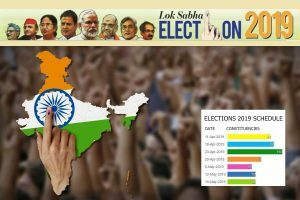 Total 31 councillors have been elected for various posts, the election officials said.